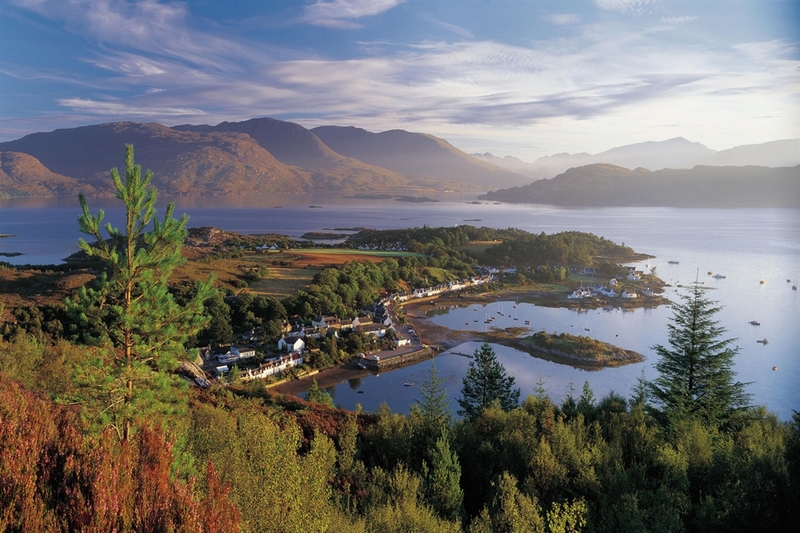 The picturesque village of Plockton boasts an incomparable location on a sheltered bay of Loch Carron surrounded by a ring of hills. Plockton has a charming seaside setting and the road follows the bay with a chocolate-box row of neatly painted cottages arranged around the curve of a tiny harbour. The village is backed by a craggy landscape of heather and pine. In high season it is popular with tourists, with yachts bobbing about in the sheltered waters of the bay, and artists and photographers making use of Plockton’s brilliant light. During the summer, the waterfront, with its row of shaggy palm trees, Highland cattle, flower gardens and pleasure boats, is invariably dotted with painters dabbing at their easels. There is a great variety of interesting things to see and do in Plockton too. The village is great for a relaxing walk whether along the seafront or going across to the little island when the tide is low. Bikes are available to rent and explore the countryside and boats head out of the harbour on seal-spotting or fishing trips. 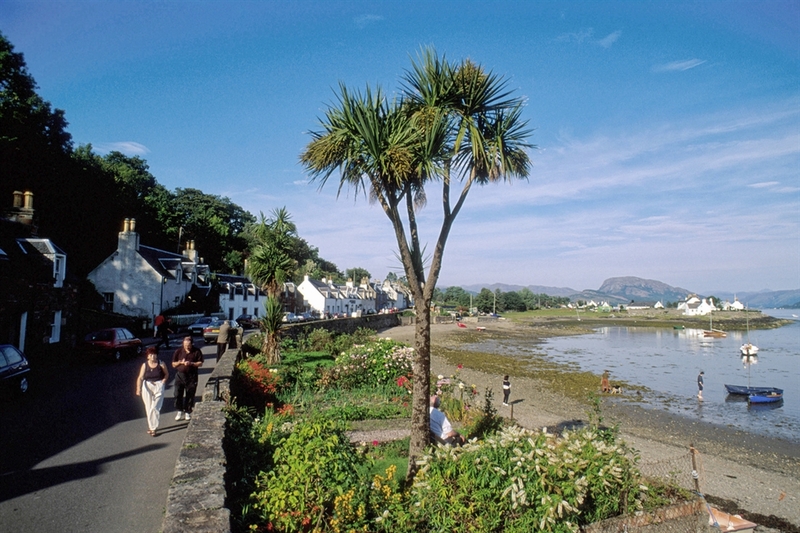 Shopping in Plockton is rewarding too and ranges from the everyday items to high quality crafts, gifts, books and even freshly caught seafood at the pier.